First PacTrust Bancorp Inc. on Wednesday said that it will acquire the South Bay’s Beach Business Bank in a cash-and-stock deal valued at roughly $37.4 million. Los Angeles private equity firm Revolution Capital Group has acquired Capital Exchange, an online community serving the financial community. Toyota, Lexus and Scion vehicles will keep rolling into the Port of Long Beach through at least 2028, following action by the Long Beach Harbor Commission. Lions Gate Entertainment Inc. said that activist investor Carl Icahn has agreed to end his nearly two-year-old takeover bid, selling substantially all of his investment firm’s shares in the studio and settling outstanding litigation. Hudson Pacific Properties Inc. has filed a regulatory registration statement that would enable insiders and other buyers of restricted stock in previous private placements to begin trading up to $10.3 million worth of shares on the open market in the coming months. A bill to dissolve the manufacturing city of Vernon failed to pass the state Senate on Monday afternoon. Public Storage said that Shawn Weidmann has joined the real estate investment trust as chief operating officer. Dreamworks Animation SKG has signed its first-ever online distribution agreement in China, starting with its popular “KungFu Panda” film franchise. RealD Inc. has signed a deal with Chinese theater chain Beijing SAGA Luxury Cinema Management Co. Ltd. to install its 3-D movie projection technology in all the chain’s theaters. Ron Burkle could steer company by picking up its debt. Billionaire investor Ron Burkle may see American Apparel’s debt load as a good fit for his Yucaipa Cos.
As co-head of the design team at Venice architecture firm Jerde Partnership, David Rogers was design principal of Macerich Co.’s reconstruction of Santa Monica Place and was a senior designer of Universal CityWalk. In this year's annual Who’s Who in Real Estate Special Report, the Business Journal profiles a dozen retail specialists who are behind some of the top projects in the Los Angeles area. Jerry Neuman is the man behind Hollywood … and Burbank and Crenshaw, and a growing list of cities with large retail developments. Lead shareholder Stadium wants to take seat as a director of Big 5. Big 5 could be sporting a new board member if a Connecticut investor gets its way. Picket lines at rivals could lift struggling Fresh & Easy. A labor strike at large supermarkets could spur shoppers to check out struggling nonunion chain Fresh & Easy. Santa Monica mulls car dealership for Third Street Promenade. Electric-car maker Coda looks to park a dealership at Third Street Promenade. As the head of operations and strategy at real estate investment bank George Smith Partners, David Rifkind has spent much of his time in recent years working with commercial property owners trying to hold on to their assets. While he would rather be financing new retail developments, it hasn’t been all bad. Green Dot CEO, who went from radio DJ to creator of the prepaid debit card, leads an active dating life after shedding 140 pounds. Former radio DJ Steven Streit scored his biggest hit as the creator of prepaid debit cards. Pressure from regulators also drives Broadway to raise capital. Broadway Federal will shutter branches and work to raise capital as it copes with a shaky portfolio of real estate loans. Company shares may be undermined by BNK’s drilling methods. Concern over BNK’s European gas fields may be driving away investors. Charles Crumpley takes stock of all the share buyback programs, and he isn’t sold. Not everyone who notices a problem decides to do something about it. But developer Arturo Sneider has made a career out of solving a problem he saw when he moved here from Mexico City in 1986: few shopping centers in Latino neighborhoods. Sidebar – “Clean tech incubator” launches with single tenant. niversal CityWalk. The Microsoft store at Westfield Century City. The Zone common area at Glendale Galleria. Shoppers may not recognize David Glover, but they have experienced the clever, entertaining venues he has created. From his downtown L.A. office, Mac Chandler manages the West Coast portfolio of Regency Centers Corp., a Jacksonville, Fla., owner of more than 400 shopping centers nationwide, including 20 in Los Angeles County. REAL ESTATE: Westside’s allure pumped up price for Playa Vista property. Playa Jefferson, a nearly 200,000-square-foot office campus in Playa Vista, traded hands this month for $33 million. Rick Caruso’s distinctive shopping malls attract admiration – and envy – from fellow real estate pros as they reel in shoppers from just about every corner on earth. But until now, the Beverly Hills native has located his upscale retail and entertainment complexes close to home. Westwood One program strategy comes in wake of Dial Global union. Westwood One looks to dial up business by producing more nationally syndicated programming. Robert Aptaker completed the largest project of his career last year with the reopening of Santa Monica Place, the mall next to the Third Street Promenade designed by architect Frank Gehry. So You Think You Can Dance With the Masai? Jonathan Larsen learned a new kind of dance in East Africa. Peter Roth immerses himself in all aspects of retail, from strategic planning to negotiating complex ground leases. Overhill Farms tries new distribution recipe in deal with Boston Market. Frozen-food maker Overhill Farms has added marketing and distribution to its menu in a deal with Boston Market. If you’ve ever driven down Robertson Boulevard in West Hollywood or Rodeo Drive in Beverly Hills, then you’re familiar with Jay Luchs’ work. The 7th and Fig project is Kevin Dow’s biggest rush job. A 29-year veteran with Turner Construction, Dow is in charge of completing a $40 million redevelopment of the three-story outdoor mall in time for its scheduled opening in May. Resnicks tap Fiji Water customer base to sell their new wine lines. Fiji Water hopes for bottoms-up benefits from a pair of recently acquired vineyards. Filipino plantation workers latest to sue Dole over alleged sterility. New pesticide lawsuit from the Philippines adds to food giant Dole’s chemical court cases. Robert J. Rodino sees little positive impact from the creation of Wal-Mart-style superstores. Membership soars for video site after slam by Facebook founder. Social video-watching site Chill heats up after unfriendly comment by Facebook’s Mark Zuckerberg. Haulers, host cities clash over competing plant plans. Trash talk between two rival companies’ recycling centers has spilled over into court. Veteran retail broker Gwen MacKenzie has sat on both sides of the table. At illi’s, she handles acquisitions, development, repositioning and sales of real estate. L.A. Making Clean Break With Tech? Villaraigosa opens green corridor to all comers. Mayor’s troubled clean tech corridor may hinge on redevelopment of downtown L.A. industrial site. OP-ED: Stopping young people from joining gangs would be a solid investment for L.A.’s business community. Gang violence has steep costs for L.A.’s business community, writes Amelia Xann. The Business Journal’s index of largest local public companies rose for the week after investors reacted to encouraging remarks by Fed Chairman Ben Bernanke about the U.S. economy. Ryland Group Inc. said that it plans to wind down its homebuilding operations in its Dallas and Jacksonville, Fla. regions. Electro Rent Corp. has closed a $10.7 million acquisition of Equipment Management Technology Inc., a maker of electronic test equipment. OSI Systems Inc. said improving sales in its long-struggling health care diagnostics unit helped it achieve a fiscal fourth quarter profit that beat analysts’ forecasts, although revenue was less than expected. 3ality Digital, a Burbank provider of 3D production technology and services, has acquired Element Technica of Los Angeles, which makes motorized 3D camera rigs, for an undisclosed amount. Passenger traffic at Los Angeles International Airport rose more than 6 percent last month, but the struggling economy took a toll on air cargo activity, according to figures released Wednesday. Guess Inc. shares fell more than 6 percent on Thursday, a day after the apparel company reported a lower fiscal second quarter profit and gave guidance below Wall Street expectations. First General Bank of Rowland said that its merger with Golden Security Bank of Rosemead has been completed. City of Industry online electronics and technology retailer Newegg Inc. has hired veteran e-commerce executive Robert Bellack as chief financial officer. Jakks Pacific Inc.'s board has promoted Jack McGrath to chief operating officer of the Malibu toymaker. A federal judge has tentatively denied motions for an acquittal and a new trial for Ezri Namvar, the Brentwood real estate investor found guilty in May of federal wire fraud charges. TrueCar, a Santa Monica online publisher of new and used vehicle pricing, has acquired ALG Inc., a provider of automotive residual value information. Broadway Financial Corp. plans to close two of its five branches and pursue a recapitalization plan as the struggling savings bank seeks to shore up its capital reserves. CompuLaw, a developer of legal calendar and docket management software, has been acquired by Aderant, a private equity-backed competitor in Atlanta. Lockheed Martin Corp. plans to acquire QTC Holdings Inc., a Diamond Bar provider of medical examination and diagnostic testing for U.S. government employees. 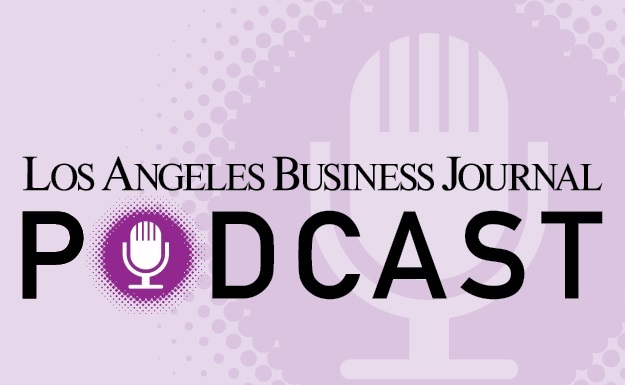 The Business Journal's web site now features audio of Editor Charles Crumpley's weekly conversation with Frank Mottek of KNX-AM (1070) for station's KNX Business Hour. Demand Media plans to spend up to $25 million to buy back shares. Shares of 99 Cents Only Stores gained more than 10 percent Monday following reports that private equity firm Apollo Management might buy the chain. BANKING & FINANCE: Analyst expects holiday cool-off to aid downtown’s Oaktree. One of L.A.’s largest financial institutions is trying to go public during one of the most violent market maelstroms in recent memory, but analysts say there isn’t reason to panic – yet. OP-ED: Private sector can help ensure a more educated work force by getting kids started early in the classroom. Investing in early education will pay off long term for the business community, according to Celia C. Ayala and Bob Zukis. David W. Fleming and Lee Kanon Alpert make a mayoral case for “unpolitician” Austin Beutner. OP-ED: City initiative launched by the mayor comes up with reforms to help streamline the planning process. Renata Simril and Arturo Sneider praise the city of L.A.’s blueprint to ease the planning process. Blimp maker brings in execs to talk up craft in D.C.
Blimp maker Aeros has signed up some defense industry veterans to lift the prospects for its massive airship. Charles Crumpley finds Mayor Antonio Villaraigosa’s proposal to scrap Prop 13 for businesses just too taxing. Rainwater Rules to Soak L.A. Businesses? State proposal brings forecast of steep fee hikes. Some local businesses fear being drained by new state rules on rainwater runoff. Airlines’ fight for Bradley space lifts airport. Renovations at LAX’s Bradley terminal have allowed airport passenger traffic to take off. Department stores tighten belt on denim makers. Some department stores see L.A. denim makers’ very premium prices as a poor fit. Raul Ojeda went from cleaning footwear to owning high-end shop. Raul Ojeda stepped up his game by going from shining shoes to crafting $2,400 pairs. SendLove lets website visitors rate celebs, athletes and politicians. SendLove.to adds “heart” and “frowny face” icons to websites to let visitors click off on public figures. Son of movie director wins ad contests while waiting for film gig. Director Alex Rydell hopes to roll his contest-winning videos into a Hollywood career. As president of the California Fashion Association, Ilse Metchek doesn’t go many places without dressing to the nines. REAL ESTATE: Avison Young opens Westwood office as part of U.S. expansion plan. There’s a new commercial real estate company in town. Break Media teams with TV producer to upgrade its online videos. Break Media tunes in TV producer Reveille to upgrade its online videos. Companies launch buyback programs to snap up stock. Some L.A. businesses are using the market’s recent fall to literally take stock of the companies. GameFly to add PC downloads and computer titles to offerings. Rent-through-the-mail service GameFly hopes to connect with more revenue by offering online downloads. Attorneys for convicted businessman face big rulings Monday. Two motions by the defense team could extend the trial for convicted Brentwood investor Ezri Namvar. Coda signs deal to provide technology to Chinese car company. Electric-car maker Coda has made inroads overseas in a deal with China’s Great Wall Motor Co.
GSG runs branded campaigns that link companies and causes. Good Solutions Group’s business-branded campaigns have raised funds for state parks and beaches. ADVERTISING & PR: Grant Cardone goes with Levine to handle books and new website. Michael Levine, a media commentator, Hollywood publicist and the author of multiple books, has a new client. TRADE & TRANSPORT: TTI plans Long Beach terminal to boost agricultural business. Total Terminals International LLC, a terminal operator and U.S. subsidiary of Seoul, South Korea’s Hanjin Shipping Holdings Co., wants to help customers export more grain to Asia. TV promo maker Stun adds print unit, develops television show. Stun Creative hopes to channel its TV promo business into print work and show development. The Business Journal’s index of largest local public companies dropped again for the week as the markets continue to slide for a fourth week on recession fears. L.A. County’s unemployment rate shot up to 12.4 percent in July from 12 percent in June as budget cuts took their toll on government payrolls and more people were looking for work. True Religion Apparel Inc. has appointed Lynne Koplin as president of the company, effective immediately. Newly acquired California Pizza Kitchen Inc. said G.J. Hart, who has run a similar restaurant chain, had been named as chief executive, replacing the company’s founders. A city advisory panel has unanimously recommended that Los Angeles eliminate its gross receipts tax on businesses. Hot Topic Inc. shares gained 6 percent Thursday, a day after the teen retailer reported a smaller fiscal second-quarter loss on higher same-store sales and better margins. The company also announced a repurchase of shares. International Rectifier Corp. shares dropped 11 percent on Thursday, a day after the El Segundo chip maker gave guidance below Wall Street expectations. Ebay Inc. completed its acquisition of Magento Inc., which offers an open-source e-commerce platform, for an undisclosed price. A group of models alleging violation of their rights have sued Skechers USA Inc. for $10 million. Coda Holdings, a developer of electric cars and advanced battery systems, has signed a letter of intent to develop electric vehicles with Chinese vehicle manufacturer Great Wall Motor Co.
Aecom Technology Corp.'s board has authorized the repurchase of up to $200 million of its common stock to reduce the number of outstanding shares. Shamrock Capital Advisors has invested $25 million in Thought Equity Motion, a Denver digital video manager for large media companies. Saehan Bancorp said that it moved to a small second quarter profit, the second consecutive quarter it has done so. Tetra Tech Inc. has acquired engineering firm Metalica Consultores of Santiago, Chile for an undisclosed amount. Last month saw a big increase in exports at the Port of Los Angeles, with 12.8 percent more containers leaving the port than in July 2010. Shares of DineEquity Inc. rose 7 percent on Monday after the restaurant operator said its board approved the repurchase of up to $45 million of its common stock. OpenGate Capital plans to buy a Wisconsin dairy processing plant and two dairy brands from Dean Foods Co. Colony Financial Inc., which sold roughly $272 million worth of common stock earlier this year, announced plans to buy back up to $50 million of stock over the next year. Market Pulls Rug From Under IPOs? L.A.-area firms’ public plans disrupted by fluctuations. The stock market’s wild ride may lead some local IPO-primed firms to sit it out for a while. THQ’s shares tumble as company plots online strategy. THQ pulls plug on studios and 200 employees in a turnaround effort that hasn’t swayed investors. Time always runs out on Blacklots’ 24-hour artwork sales. Blacklots 24-hour online auctions put collectors on the clock. Giving Real Estate Sales a Lift? Broker uses minicopter to record videos of coastal properties. Broker Bill Kerbox is high on using minihelicopters to shoot video of his coastal properties. Lisa Korbatov doesn’t dig the Century City Chamber of Commerce’s subway stance. OP-ED: California Assembly’s latest bill on worker retention is another example of the state impairing free enterprise. Michele Dennis hopes California locks out a proposed worker-retention law for building staff. Appearance in AT&T spot boosts profile of local pet hospital. Montrose Pet Hospital has collared more customers from its appearance in an AT&T TV commercial. Does Dov Charney Have Something Up His Sleeve? Store sales rise as American Apparel partners with online retail giants. American Apparel looks like it’s fashioning a comeback out of stores-in-stores and online retail partnerships. Great American tries riskier financial strategies. Great American adopts new strategies as bankruptcy business slows. Officials hope to anchor Long Beach port as a prime cargo handler by building a terminal at Pier S.
Charles Crumpley wants the state to shelve a measure that would get in the way of more superstores. You think you’ve got balancing issues between work and family. Jakks lines up trading cards, TV show to launch toy franchise. Toymaker Jakks is making a play for global conquest with its new line, Monsuno. RETAIL & APPAREL: Children’s pants first step in new line from 7 for All Mankind. Premium denim maker 7 for All Mankind is going small, but it’s part of a plan to grow. Entrepreneur went from the Ivy League to West Coast warehouses as the founder of a wholesale dealer in returned items. Harvard Business grad Jacques Stambouli had some lessons to learn when he launched his wholesale business. REAL ESTATE: Tech giant books Borders site at Third Street Promenade. Apple Inc. wants to take a bigger bite out of Santa Monica’s Third Street Promenade. Funding squeeze could flatten affordable housing developments. BANKING & FINANCE: Diverse portfolios credited with keeping mood calm. Despite wild swings in the financial markets last week, a number of local investment professionals said the mood among their clients has remained remarkably calm. Money now owed state may kill CRA projects. The state’s hunt for more money could cost county several redevelopment projects. Buying Hawks a big jump for Alex Meruelo. Downey businessman Alex Meruelo has taken wing with his purchase of the NBA’s Atlanta Hawks. MD Drinks of Culver City snapped up by Sunsweet Growers. MD Drinks’ trendy nutraceutical line proves to have the right prescription for acquisition. Responding to complaints from solar roof installation companies, the Los Angeles City Council has voted to intervene on a controversial proposal by the Los Angeles Department of Water & Power to scale back solar incentives given to homeowners. The Business Journal’s index of largest local public companies dropped nearly 4 percent for the week as investors remained nervous about the prospect of another recession. Shares of MannKind Corp jumped Friday morning, a day after the biotech said the U.S. Food and Drug Administration approved the design of two clinical studies needed to answer lingering concerns about its experimental insulin inhaler Afrezza. Air Lease Corp., which went public in April, reported better-than-expected net income in the second quarter and said it will continue to increase its fleet of jetliners. Electro Rent Corp. plans to acquire the assets of Equipment Management Technology Inc., a privately held provider of electronic test equipment that filed for bankruptcy protection earlier this year. Ares Management LLC has acquired the investment platform of Wrightwood Capital, a commercial real estate lender based in Chicago, for an undisclosed amount. Online dating and matchmaking site eHarmony has named Jeremy Verba, a veteran in developing social networking services, as chief executive. Sign company Fuel Outdoor LLC has agreed to pay $1.8 million to settle a lawsuit filed by the city of Los Angeles over the company’s mounting of supergraphic signs and pole and wall posters. Hudson Pacific Properties Inc., which in recent weeks has made some high-profile local acquisitions, said that it narrowed its second quarter net loss on stronger tenant revenue. THQ Inc. shares fell more than 7 percent Wednesday morning after the video game developer said it was closing two Australian development studios and laying off 200 employees as as part of a "strategic realignment." Shares of Demand Media gained 11 percent Wednesday morning after reporting better-than-expected second quarter sales, renewing a key agreement with search engine Google and making two acquisitions. The Los Angeles City Council has unanimously approved a partnership plan with Anschutz Entertainment Group to build a $1.2 billion stadium and replace a $275 million wing of the Los Angeles Convention Center. Walt Disney Co’s fiscal third earnings topped analysts’ expectations, boosted by higher revenue from its cable networks and theme parks. But shares were down more than 9 percent Wednesday morning in fears that a faltering economy would hurt future growth. Shares of DTS Inc. dropped more than 14 percent Tuesday, a day after the audio technology company reported second quarter results that missed Wall Street forecasts and predicted full-year results also below expectations. Platinum Equity has acquired Quark Inc., a Denver developer of widely used page-layout software for print and other publications. Shares of American Apparel rose slightly Tuesday, a day after the Los Angeles apparel maker and retailer reported improved summer sales and a smaller loss in the second quarter. Passenger traffic at LAX was up by more than 5 percent in the first half of the year, despite a drop in travel to and from Japan following the March earthquake and tsunami. Cornerstone OnDemand Inc., which held one of the hottest initial public offerings locally earlier this year, has canceled on a planned follow-on offering due to the two-week-old stock market downturn. Live Nation Entertainment Inc. reported a second quarter profit on higher concert attendance and increased sales at its North American events, with the results beating Wall Street expectations. Los Angeles global asset manager Ares Management LLC has signed a definitive agreement to acquire Indicus Advisors for an undisclosed amount. Malibu toymaker Jakks Pacific Inc. plans to acquire Moose Mountain Toymakers Ltd., a Hong Kong maker of licensed arcade-style games, children's vehicles and other toys, for an undisclosed amount. American States Water Co.'s second quarter profit jumped 78 percent as the water and electric utility sold a unit and saw revenues rise for its remaining businesses. Manufacturing in L.A. is back in fashion as production costs continue to rise overseas. BANKING & FINANCE: Banco Popular hopes new name nets non-Spanish speakers. What’s in a name? Well, if you ask some bank customers, a lot. Long Beach officials say trucks already meet clean-air standards. Activists look to rev up Long Beach port’s clean-air program by requiring more truck checkups. Google deal fuels ReachLocal’s growth into new countries. Online ad firm ReachLocal is seeing real-world growth through expansion into new countries. TECHNOLOGY: Downtown L.A.’s CyberDefender had defaulted on its debt. It was quite a week for CyberDefender Corp., a downtown L.A. security software company. REAL ESTATE: Real estate investment trust picks up building for $22 million. Hudson Pacific Properties Inc. has acquired the Santa Monica offices of Google Inc., as the local real estate investment trust seeks to expand on the Westside. July home sales down from last year amid sputtering economy. July fails to bring any summer relief to the market as sales tumble year to year. Dentist treats both Hollywood stars and destitute veterans. Did it all start when he was fired from McDonald’s? Some big-name celebrities have taken a shine to dentist Jay Grossman’s teeth-whitening skill. Charles Crumpley salutes the late John E. Anderson, who got ahead by believing in people and doing the right thing. Beachbody brings in muscle on DVD counterfeiters. Beachbody targets counterfeiters looking to muscle in on company’s fitness tape business. Bill Dombrowski blasts a state bill that would pile more impact reports on superstore projects. OP-ED: Carmaggedon’s traffic-free weekendpoints out the need to revisit state laws that hinder work schedules. Brendan Huffman wants California to clock out of its strict overtime laws. John Cox proposes a local approach to revamping and resizing state government. OP-ED: Beverly Hills merchants should know other cities’ high-end retail centers have benefited from subway access. David C. Murphy urges Beverly Hills merchants to get on board with a proposed local subway stop. On Assignment acquires doctor placement business to nurse revenue. On Assignment hopes for a healthy revenue boost by picking up an Atlanta physician placement firm. Meruelo Maddux shares also get boost from reverse split. The bucket list for attorney Gary Nelson, 52, just got a little shorter. He climbed Mount Everest during a trip from April to June. Golf tourney to host Congressional Medal of Honor recipients. Local golf tourney hopes to swing with a group of Congressional Medal of Honor recipients. Liquid drops discs for social, mobile titles. Liquid Entertainment has shelved its console focus and hopes to click with online social games. L.A. business groups travel to island with eye on the future. Business groups are heading to Cuba to shore up future prospects on the island country. Measure would pile on another study for projects. Business groups blast state bill that would require another impact report on superstore projects. New Bergin’s owner to keep Irish ambience at renovated eatery. New owner of Tom Bergin’s Tavern hopes to raise the bar for the aging watering hole. Eatery Mohawk Bend latest L.A. business to roll into old movie theater. Eatery Mohawk Bend offers dinner but no movie at a renovated film theater in Echo Park. Parent pins sales recovery on new menu, improved service at IHOP. Slumping IHOP sales have taken a bite out of parent DineEquity’s share price. Gores Group to Buy U.S. Operations of Hypercom Corp.
An affiliate of the Gores Group plans to acquire the U.S. point-of-sale checkout business of Hypercom Corp for an undisclosed amount. Colony Capital has acquired from four German banks a portfolio of non-performing commercial real estate loans that has a face value of nearly $523 million. The European subsidiary of inventory liquidator Great American Group Inc. has acquired debt issued by struggling U.K. discount department store chain TJ Hughes. The Business Journal’s index of largest local public companies dropped more than 9 percent for the week following the biggest stock market plunge in three years. Superior Industries International Inc.’s second-quarter earnings jumped 46 percent on higher sales and the lack of a write-down that hurt year-earlier results. Both profit and sales beat Wall Street expectations. Public Storage Inc.'s second quarter profit jumped 61 percent on higher occupancy and rents. Aecom Technology Corp. reported a better-than-expected increase in fiscal third quarter profit but cut its guidance. Its shares slipped. DirecTV Group Inc.'s net income in the second quarter rose 29 percent as increasing subscriptions in its younger Latin America market offset slower growth in the United States. Health Net Inc. reported 29 percent higher second quarter net income, boosted by growth in its core Western region, and raised its outlook for the year. High-end New York fitness center chain Equinox plans to acquire the assets of struggling L.A. competitor Sports Club Co. for an undisclosed amount. Edison International reported a lower second quarter profit, although a tax benefit boosted the year-earlier quarter. Shares of K-Swiss Inc. sank more than 25 percent Thursday after the athletic footwear maker reported a wider-than-expected second-quarter loss despite higher revenue. It lowered its guidance for the year. Aircraft leasing company International Lease Finance Corp. said that it would buy aviation parts seller AeroTurbine Inc. for $228 million. Shares of On Assignment Inc. jumped 13 percent in after-hours trading on Wednesday after the specialty staffing company reported second quarter profit above Wall Street expectations. J2 Global Communications Inc. shares jumped more than 16 percent on Wednesday, a day after the business communications services provider reported a 52 increase in second-quarter net income and announced it would start paying a dividend. Shares of Staar Surgical Co. soared more than 27 percent on Wednesday, a day after the ophthalmic company reported its second consecutive quarter of profitability – the first time that’s happened since 1999. Reliance Steel & Aluminum Co. has completed the acquisition of Continental Alloys & Services Inc. and certain affiliated companies in a deal now valued at $415 million. Shares of CyberDefender Corp. fell more than 13 percent on Wednesday, a day after the struggling Internet security software company announced that Chief Executive Gary Guseinov had resigned and some product development employees had been laid off. ValueClick Inc. shares fell nearly 9 percent Wednesday morning, a day after the company said second quarter profit jumped 40 percent but also announced an acquisition considered dilutive to shareholders. Shares of DineEquity Inc. dropped 18 percent on Tuesday after the restaurant operator said weak sales at its IHOP chain contributed to a second quarter loss and worse-than-expected adjusted earnings and revenue. Sales of some non-core properties boosted MPG Office Trust Inc. to a profit in the second quarter. Scanlon Guerra Burke Insurance Brokers and Northridge Insurance Agency, two longtime independent San Fernando Valley insurance brokerages, have merged. Shares of Herbalife Ltd. rose more than 8 percent in after-hours trading on Monday following a second quarter sales and profits report that beat Wall Street expectations. Mercury General Corp. more than tripled its second quarter earnings on higher revenue, lower expenses, and investment gains. On Assignment Inc. has acquired a regional physician-staffing firm based in suburban Atlanta for more than $15 million. Billionaire takes reins at struggling National LambdaRail. Billionaire Patrick Soon-Shiong has plugged in as CEO of a national scientific and medical data network. Time to Apply the Brakes to L.A.’s Car Culture? L.A.’s car culture could be at a crossroads, according to Chauncey Swalwell. OP-ED: Transportation officials have been planning since the 1960s for a station at Constellation Boulevard. Susan Bursk says local officials have long dug Constellation Boulevard as a subway stop. OP-ED: New drive to revamp Proposition 13 to increase state tax revenue would stick consumers with higher bills. New attempts to modify Proposition 13 could result in businesses passing higher expenses on to customers, cautions John Kabateck. ADS sees conversion of 2-D shows as business boost. Postproduction company ADS looks to expand its depth of field by adding 2-D-to-3-D conversion services. Cornerstone Chief Executive credits becoming a father in 2005 with spurring him to refocus and re-evaluate his HR services company. Cornerstone OnDemand CEO Adam Miller says his bartending skills are still on tap. Charles Crumpley thinks reforming the city of L.A.’s permit process may take time, but there’s no reason to wait on ditching its gross receipts tax. But discounter may be Leonard Green’s next buy. Shareholders of Leonard Green are discounting the firm’s move to acquire the 99 Cents Only chain. Joe Cilic, an executive with Sotheby’s International Realty in Brentwood, had heard the name of Lucie Barron through a mutual acquaintance. Neighbors fear new center will bring traffic. Neighbors have rocked a developer’s plan to roll a new project into the old Tower Records space on the Sunset Strip. REAL ESTATE: Deal for downtown property has eluded Milbank. The partnership that owns Figueroa Tower in downtown Los Angeles has filed for Chapter 11 protection while it reorganizes its finances. Results of most L.A. institutions met or beat analyst expectations. L.A.’s publicly traded banks checked in with a strong second quarter, pointing to a continued recovery. Farmscape looks to go beyond backyard gardens and sow farming clients among institutions with in-house cafeterias. Farmscape looks to break out beyond backyard farms to reap institutional customers. BANKING & FINANCE: IPO filings picked up in second quarter following sluggish first. After several stops and starts over the past few years, L.A.’s IPO market is showing signs of healthy activity, according to a new report. Umami founder turns to Nazarians to grow L.A. burger chain. Umami hopes the Nazarian brothers can add some sizzle to the burger chain’s expansion plan. LENDING: ZestCash.com hopes to offer low-cost alternative to payday lenders with its Google-inspired data analysis. ZestCash looks to lure customers of payday lenders with a lower-cost online alternative. Korean resort designed to boost 2014 bid pulls in 2018 Winter Games. A local office that designed an Olympic resort for South Korea’s failed 2014 bid helped that country score the 2018 Winter Games. New L.A. jobs czar Matt Karatz will work to improve the city’s relationship with businesses. Canadian province to roll out festival tied to new Cirque show. Angelenos will get an eyeful of Quebec thanks to an “Iris”-linked festival of events. CytRx CEO defends decision despite tumble in share value. CytRx’s plan for a capital shot in the arm through a stock offering has sent share prices tumbling. Reliance sees net income and sales rise compared with a year ago. Increase in sales helped Reliance Steel & Aluminum forge a strong second quarter. Expansion of NTS continues with the firm’s second pickup. National Technical Systems has grown its reach and customer base with a Midwest pickup. NetSol says Pakistani unrest caused customer concern. Unrest in Pakistan after the killing of Osama bin Laden has shot down the stock of software maker NetSol.